'DROWNED EARTH' part two! 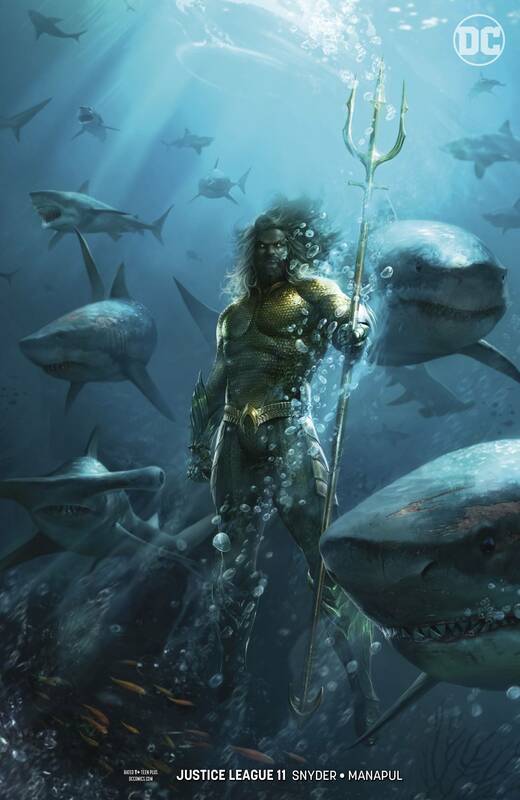 The Justice League is scattered across the Seven Seas, pursued by the Ocean Lords and their army of alien mercenaries and constantly at risk of turning into fish monsters. You know, just a day at the beach. Their only hope lies in the crippled Aquaman, who believes the road to victory lies in unleashing equally vengeful gods on Earth's oceans. Meanwhile, Batman guards the Totality in the sunken Hall of Justice, where no one can attack him…or can they?.